Congratulations Puddle Jumpers and Operation Flinders! 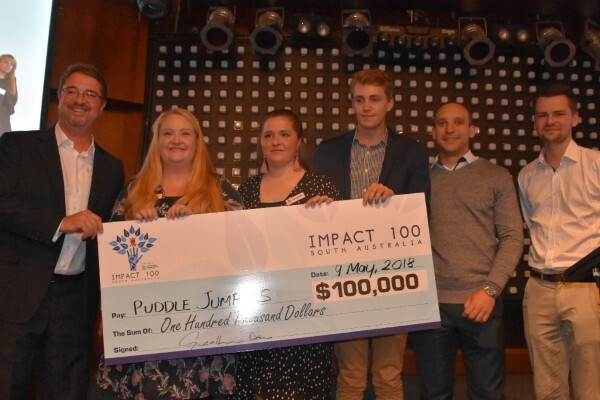 It’s with great pleasure we can announce Puddle Jumpers and Operations Flinders have each been awarded a $100,000 grant following a sensational Impact100 South Australia grants award event on 9 May. 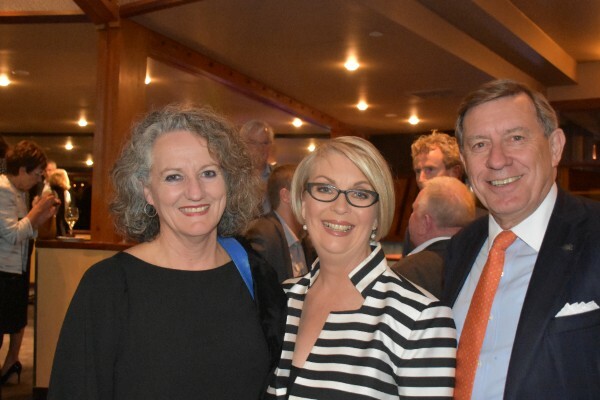 Impact100 South Australia held its 4th Grant Event night where TWO $100,000 grants were awarded thanks to the generosity and continued commitment from our members. We were honoured to have The Honourable Steven Marshall MP, The Right Honourable the Lord Mayor of Adelaide Mr Martin Haese and Lady Mayoress Genevieve Theseira-Haese as well as His Excellency the Honourable Hieu Van Le AC and his wife Lan in attendance to witness four wonderful presentations. Impact100 SA Ambassador Jayne Doyle interviewed last year’s winners before announcing this year’s winners and handing over the two $100,000 cheques. 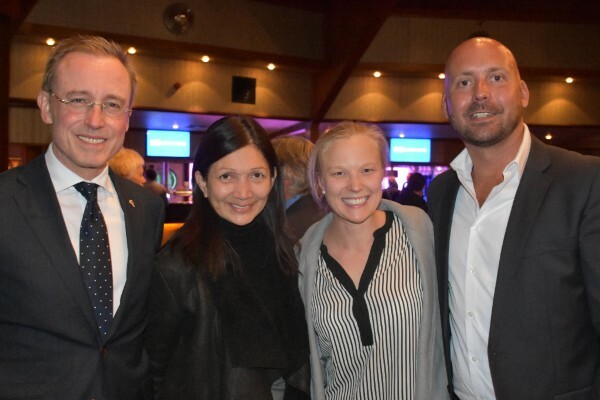 Special thanks to our key sponsors for the night – Arkaba Hotel, Coopers, O’Leary Walker Wines, Channel 7 News and Hughes PR, and to Adam Page for the amazing entertainment. For more photos from the Impact100 SA Grant Awards function held at the Arkaba Hotel, visit our Facebook page. Puddle Jumpers will use their grant to enable more children at risk to develop confidence and skills by attending Puddle Jumpers Camps that can be expanded to reduce the waiting list. Additionally they plan to purchase a 12 seater bus to enhance access to their program. The camps are conducted for children who are disadvantaged, most of the children do not reside with their birth parents, nor many or any of their siblings. The camps enable siblings to come on camp together, thus providing another avenue for sibling access in a relaxed environment. Activities on camp include further mentoring for children and support for their carers who often are grandparents. Read more about Puddle Jumpers. Operation Flinders will use their grant to provide further training for 100 PGMs to create long-term improved employment outcomes and well-developed leadership capabilities. PGMs are graduates of the Operation Flinders program, who, after further leadership and field training, then return to the exercises in the Flinders Ranges to help other ‘first timers’. Read more about Operation Flinders. 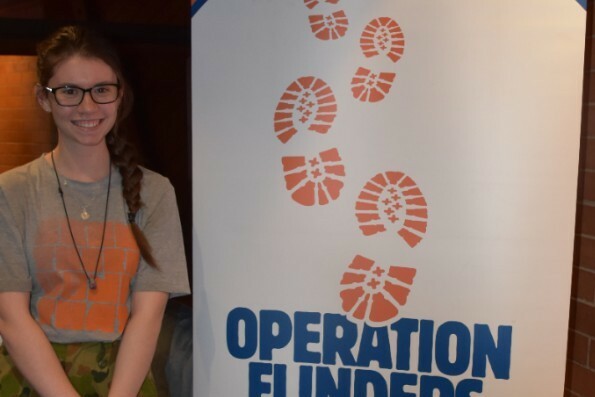 We’re excited to see Puddle Jumpers and Operation Flinders projects come to life over the coming year, and will keep you updated on how your support is changing lives. It was a very close and tough decision, and any of our four finalists would have been deserving winners. The good news is that Sammy D Foundation and Second Chances SA will also receive $20,000 each. If you would like to support any of them with further donations or volunteer your time please visit their websites for more details. All of us there on the night wished we could award more than one grant, and that is certainly our aim in the future! Now is the best time to sign up again for 2019 and make your donation. A huge thank you to everyone who has played a part in making Impact100 South Australia a success this year – especially our members who have generously come together to create real change in our community. Stay tuned for our upcoming survey for members to help determine next year’s theme and our next event where we will launch the 2018/19 grant theme, at a date to be determined.